Some five million people, including 850,000 tourists, are believed to have attended the five-day Rio extravaganza during 2012. The Unidos da Tijuca samba school was yesterday declared the winner of the 2012 Rio Carnival, with its tribute to the late singer and composer Louis Gonzaga, the “king of Baiao”, a popular music style from Brazil’s northeast. In an eagerly awaited verdict, Carnival judges gave the title to Unidos da Tijuca, sporting blue and yellow colors and renowned for its creative and innovative artistic work, for the third time in its 81-year history. The Salgueiro school, in red and white colors, finished second, with a parade paying homage to Cord literature, a popular genre in the northeast. This entry was posted in Brazil on 2012/02/23 by Trailsurfer. A project to build a pioneering science centre with more than six miles of walkways will give tourists spectacular views in the heart of the Amazon rainforest. The £6.4m centre will be built by a British charity and will act as a research base for scientists from the Royal Botanic Gardens, provide jobs for Brazilian tribes and attract eco-tourists, according to The Sunday Times. The walkway will be located in Roraima, northeast Brazil. This entry was posted in Brazil on 2012/01/23 by Trailsurfer. Last weekend, at least 100 bathers were treated at the hospital in Jose de Freitas not far from Terezina, Piaui’s capital, after being bitten on the heels or toes at the local beach by Piranhas. 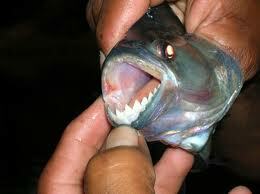 “Since they have no predators, piranhas have started attacking people on the beach,” said Romildo Mafra, a local environment official. Environmental officials so far have added tilapia to the piranhas’ local food chain hoping to quell some of the predators’ hunger. This is scary stuff and hope they will soon find a way of controlling this problem or the can kiss some good Tourist money goodbye. This entry was posted in Brazil on 2011/09/27 by Trailsurfer. Lufthansa is adding Rio de Janeiro to its route network. 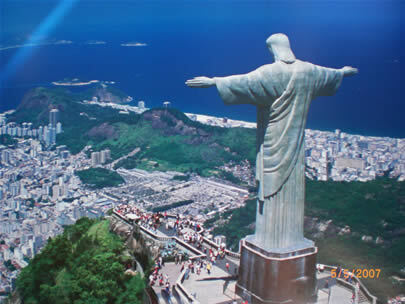 The new non-stop service from Frankfurt to Brazil’s third-largest city will be launched on 30 October 2011. Flights on this new route (LH 500 and LH 501) will be operated five times weekly with an Airbus A340 configured with 221 seats in a three-class layout (First, Business and Economy). This entry was posted in Brazil on 2011/03/01 by Trailsurfer.